If you garden in the Texas Hill Country you'll find valuable information right here and learn more about who we are and what we do! Find out more about becoming a Master Gardener. Classes will start in February of 2020. Click here to view the 2019 flyer! Applications are taken year round! Call 830-257-6568 for more information. Click here for application. WE HAVE RAIN BARRELS FOR SALE! HCMG builds and sells inexpensive rain barrels to the community. Each rain barrel is made of food grade plastic and is ready to install under a downspout, or if rain gutters are not an option, a rain chain can be attached to the roof and water will flow down into the rain barrel. 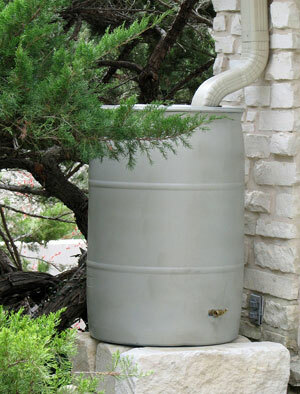 A rebate of 50% of the purchase price of rain barrels, up to a maximum of $100, is available to Kerr County residents from the Upper Guadalupe River Authority (UGRA) . To record your volunteer hours please click the button below to log your hours.